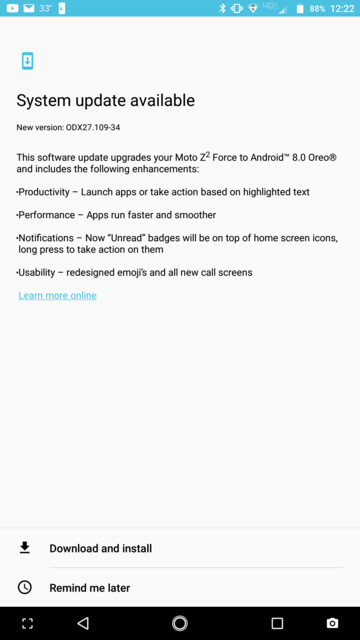 Finally, after a month of soak tests, Motorola starts rolling Android 8.0 Oreo for Moto Z and Moto Z2 Force. It brings the firmware build numbers OPL27.75 and OPX27.109-34 to the two respective devices. This upgrade is currently rolling out in Brazil and USA for Verizon carrier. It is expected to come to other regions soon. The package also brings December 2017 security patch for both the phones. Your device will automatically capture the OTA update. It might not roll immediately and take some time. In that case, you can manually download the airborne update. 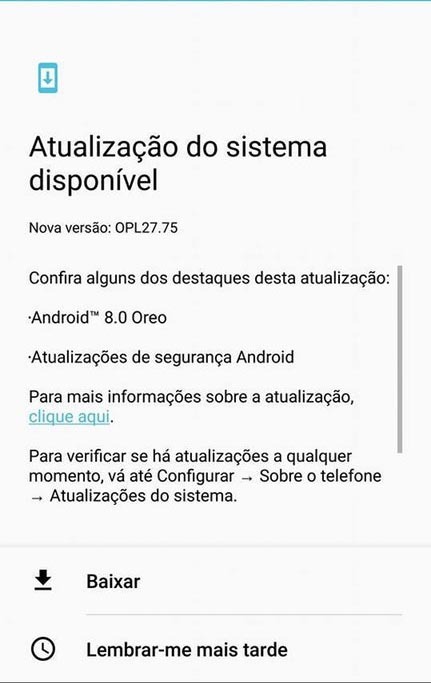 Moto Z Receives Android Oreo OTA update with firmware build number OPL27.75. 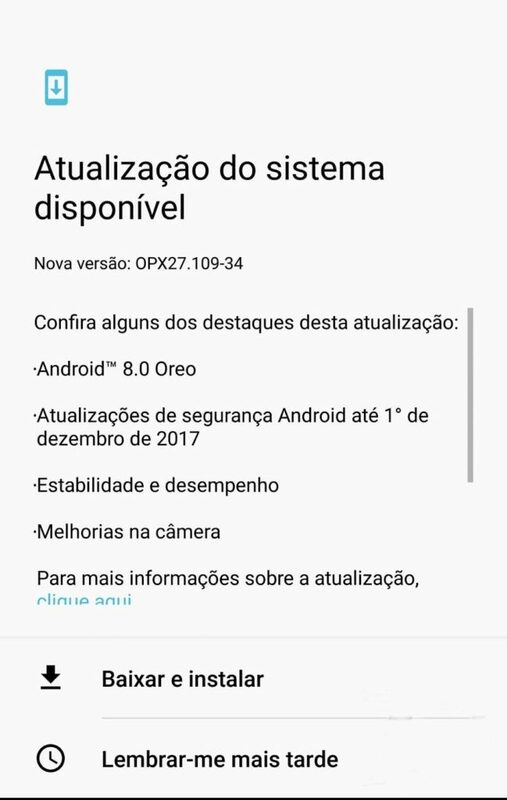 The Oreo update is also rolling out for Moto Z2 Force with build number OPX27.109-34. The USA Moto Z2 Force Verizon variant is also reportedly receiving Android 8.0 update with build number ODX27.109-34 which is same as that of the international variant. Apart from regular features of Android Oreo, the update improves security. You can download the OTA or factory image for the same. The update is rolling out across the globe starting with USA, South America, and Europe. How to download latest Oreo update for Moto Z/Z2 Force? Download and install the update on prompt. Alternatively, you can simply fill in the following device details below to get the latest full stock firmware file. Here is the direct download link to get for the firmware that carries the Android 8.0 OS. Simply fill the details of your tele-carrier, device, firmware version and you can download the OS firmware. Once the OTA zips are available, we will update it here. So stay tuned. To flash the OTA update manually you have to use ADB Sideload method. So, install Android O on your devices and enjoy. Follow AndroidSage for all latest updates and news regarding Oreo.